When you think of domestic abuse, most likely the first thing that comes to mind is verbal abuse and physical assault. But research shows that financial abuse occurs just as frequently in unhealthy relationships as other forms of abuse. In fact, a study by the Centers for Financial Security found that 99 percent of domestic violence cases also involved financial abuse. What’s more, financial abuse is often the first sign of dating violence and domestic abuse. Consequently, knowing how to identify financial abuse is critical to your safety and security. Financial abuse involves controlling a victim’s ability to acquire, use and maintain financial resources. As a result, those who are victimized financially may be prevented from working. They also may have their own money restricted or stolen by the abuser. And rarely do they have complete access to money and other resources. When they do have money, they often have to account for every penny they spend. Overall, the forms of financial abuse vary from situation to situation. Sometimes an abuser may use subtle tactics like manipulation while other abusers may be more overt, demanding and intimidating. In the end, the goal is always the same—to gain power and control in a relationship. While less commonly understood than other forms of abuse, financial abuse is one of the most powerful methods of keeping a victim trapped in an abusive relationship. Research shows that victims often are too concerned about their ability to provide financially for themselves and their children to end the relationship. Plus, financial insecurity is one of the top reasons women return to an abusive partner. The effects of financial abuse are often devastating. 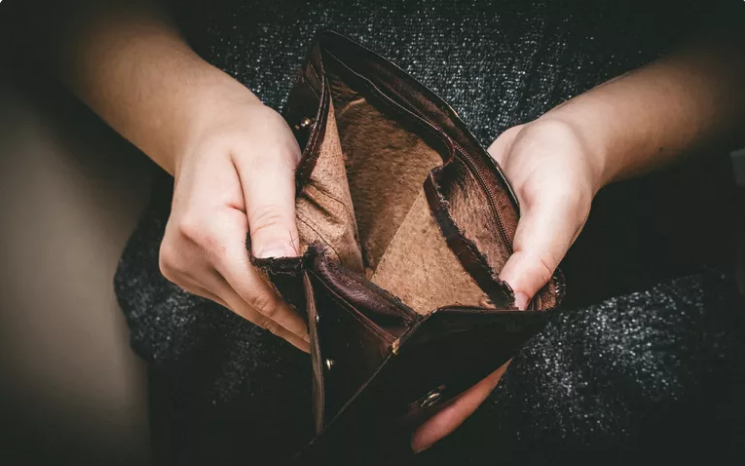 Aside from the fact that victims often feel inadequate and unsure of themselves due to the emotional abuse that often accompanies financial abuse, they also often have to do without food and other necessities because they have no money. In the short-term, financial abuse often leaves victims vulnerable to physical abuse and violence. Without access to money, credit cards and other financial assets it is extremely difficult to do any type of safety planning. For instance, if an abuser is particularly violent and the victim needs to leave in order to stay safe, this is particularly difficult without money or a credit card. And if they need to leave the relationship permanently, it is very difficult to not only find safe and affordable housing, but also hard to provide for basic needs like clothing and transportation. For those who do manage to escape an abusive situation, they often face extreme difficulties in obtaining long-term housing, safety and security. With less than stellar employment records, ruined credit histories, and legal issues caused by financial abuse, it is very difficult to establish independence and long-term security. Overall, financial abuse is very isolating because victims often become financially dependent on their abusers. Consequently, this financial dependence traps a victim in the relationship. Without resources, many victims are unable to see a way out of their situation. As a result, it is extremely important that financial abuse be recognized early before it escalates. Following is an overview of financial abuse. Some abusers may use all of these tactics while others will use only one or two. Either way, whether an abuser uses one of these tactics or all of them, it is still financial abuse. If you suspect that your partner or spouse is financially abusive, contact an advocate, a counselor or a pastor right away. Financial abuse is not something that gets better with time. In fact, it often escalates over time and can lead to other types of abuse. If you do not have a counselor or pastor who can help, you also can contact the National Domestic Violence Hotline at 1-800-799-SAFE. The key is to address financial abuse right away.